We perform BBQ repairs and grill repairs for homeowners throughout the Valley of the Sun. Barbecue repairs require experience, and our barbeque repair experts bring it to each job. A BBQ repair service and the right grill parts can keep your grill safer and make food taste better. 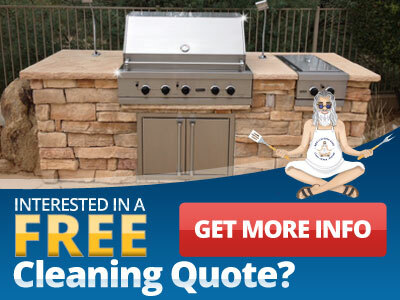 Make the BBQ Cleaning Guru your source for BBQ parts and repair, and grill to your heart’s content! Look to the BBQ Cleaning Guru for BBQ repair, cleaning and grill restoration for all home grilling enthusiasts We use only the finest parts for each repair we undertake, and look forward to getting your grill up to speed.